Recovery Warriorz advocates for the inclusion of all persons into our communities and actively encourages Self-Centered supportive paths and Recovery with resilience, all awhile curving incarceration trends. We serve all individuals and families coping with the challenges of developmental disabilities/mental health/addictions and incarceration by providing peer services to support them as they achieve their highest potential and best possible quality of life. We educate advocate and bring awareness to behavioral health/addictions and the school to prison pipeline. Recovery Warriorz believes that peer support is a unique and essential element of recovery-oriented mental health and substance abuse systems. What are peer services? Peer support programs provide an opportunity for consumers who have achieved significant recovery to assist others in their recovery journeys. Peer specialists model recovery, teach skills and offer supports to help people experiencing mental health challenges lead meaningful lives in the community. Peer specialists promote recovery; enhance hope and social networking through role modeling and activation; and supplement existing treatment with education, empowerment, and aid in system navigation. 3. What do peer specialists do? Peer support specialists work in a variety of roles that include but are not limited to: independent peer support case management peer wellness coaching education and advocacy active participants on treatment teams in a full range of clinical settings. Begin by thinking about those services that have been most helpful to you. They may be mental health services, vocational rehabilitation, or it might even be your local library or an adult education program. Then be watchful. Read your newspaper, watch T.V ., listen to the radio, search online, attend conferences. Talk to your peers, read your e-mails. If the services and programs that you care about are being threatened with funding cuts, make a commitment to do something about it. As originator of RECOVERY WARRIORZ, Mom, Veteran, Entrepreneur, Tawanna Jackson, presently recognizes the significance of a strong establishment and network backing to continue a general better quality of life. Affected by components exhibited in her every day life, Tawanna was driven down a road that could have worn out her. Being in a situation where numerous companions and relatives were exposed to drugs, detainment, savagery, and monetary starvation, Tawanna was constrained to wind up an operator of progress. RECOVERY WARRIORZ, a non-benefit association, is committed to instructing, pushing and supporting people on recuperation from any emotional wellness/conduct issue. This outreach furnishes youth and adults with instructive and recreational exercises expected to support constructive associations with their kindred subjects and advance constructive confidence, while teaching the pubic about psychological sickness. Its an obvious fact that Tawanna confronted her very own difficulties both in broad daylight and private. Nothing unexpected that her warrior soul has been enabled through RECOVERY WARRIORZ to reveal to her very own story, in her own particular manner and change the lives of others by offering hope and resources. Every day, she strives to demonstrate her 2 children the essence of versatility in spite of past disappointments. Tawanna at last looks to empower, give, and move her kids to seek after their ambitions, exceed expectations at their objectives while having an effect in their locale both locally and abroad. Tawanna currently contracts with state of GA to provide peer support services for persons with mental/addictive disorders. She also offers FREE pardon assistance for reentering citizens and offers monthly ALL RECOVERY support groups. She will continue to feed her passion for persons in recovery by offering continued support to advocate and educate to forge a healthy positive recovery model. 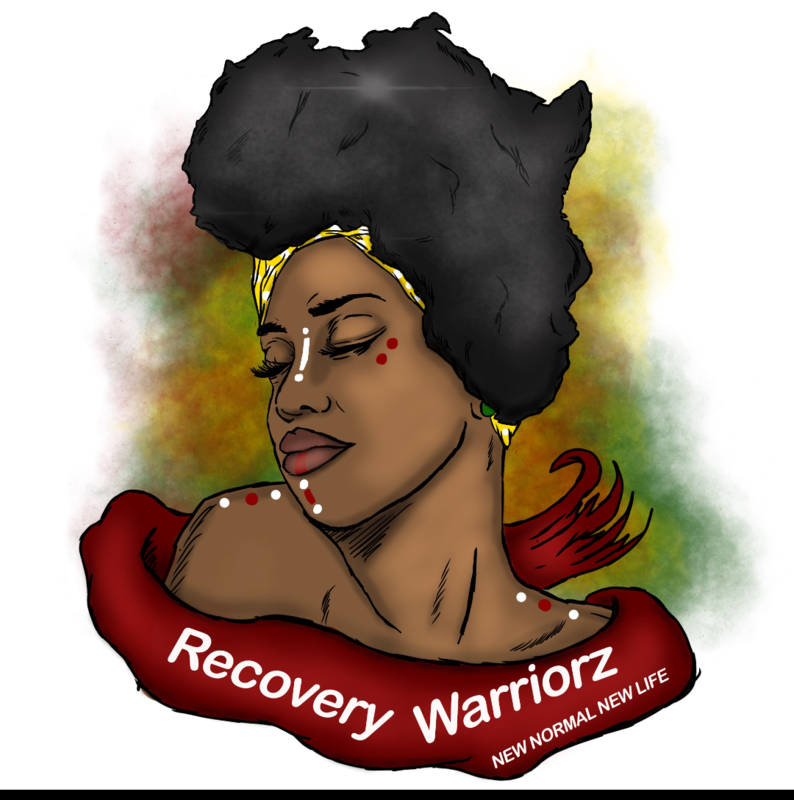 Recovery Warriorz values partnership and are open to new ideas and collaborations with other agencies/companies who would want to partner with them for cause or help launch their services/products. We value human lives and strives to ensure all person in recovery have accessible resources. Recovery Warriorz has an experience for anyone of any age that wants to come in and be supported. Our program hаѕ a dіffеrеnt kind of energy that might justify a special our to a Recovery Warriorz with a fluid, seamless and natural experience. WHY YOU SHOULD PARTNER US! In return for your support, you will be prominently promoted throughout Recovery Warriorz, as well as various social media platforms, as an official partner of Recovery Warriorz. Our following and popularity is growing consistently. We have reached well over 15000 combined views organically. Our team has a very diverse yet culturally competent and authentic appeal. Extremely marketable and would make awesome partners. We have grown organically love partnerships yet value our grassroots beginning.. The opportunity to promote your brand and to maintain a high profile among our key target market of mental health industry. Opportunity to consolidate mental health advocacy community relationships and expose your brand to our key markets. Partnering with Recovery Warriorz will help your brand stand out from the crowd. It enables you to prominently display your services/products and marketing materials. Positive publicity from print and electronic media will help increase the visibility of your brand, product and services. You will benefit from media coverage that otherwise could be prohibitively expensive. Businesses and corporations wishing to partner as a sponsor receive valuable marketing exposure and the different benefits depending on sponsorship level. We are pleased to offer sponsors an opportunity to become a part of this journey with us as sponsor where you can expect optimum visibility for your company, increasing your international presence and professional profile. Don’t miss your marketing opportunity at Recovery Warriorz ! Sponsor will get recognition as a sponsor in program guide; our mailing lists; banner ads on guide handbook and online; social media promotions; campaigns; contests; giveaways; product placement; sponsored posts as well as verbal recognition at the our different promotional venues and in any national coverage associated with Recovery Warriorz. Sponsorship levels vary. Please contact us for more details. With your venue offering partnership, together we can continue to benefit the community. As a valued sponsor of Recovery Warriorz, not only will your contributions matter, there will be numerous ways in which you can further your support. Aligning your company with us will broaden your presence in our community and will provide you and your staff opportunities to actively assist with any event of initiatives we may choose to fund. Not only will those we support benefit from your contributions, your staff and company will too. We offer you the opportunity to reach our members, access our supporters and grow your business whilst supporting a Recovery Warriorz. Join and work with us to develop this significant opportunity and achieve success together!